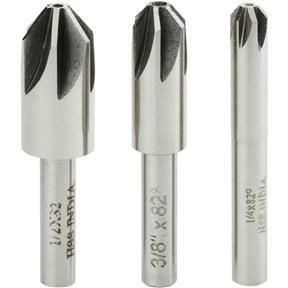 This centerless countersink set features 6 flute, 82º cutting edges and are made of high speed steel. They come supplied with a plastic case and are sized 1/4", 3/8" and 1/2". I was using them the same day I recived them. Excellent quality.